Long Island Roofing is your trusted partner to navigate the specific needs of commercial roofing projects in the Long Island area including Nassau and Suffolk counties. Our portfolio of roofing projects is diversified and we have completed major and minor roofing projects alike, paying the same attention to each, regardless of size. 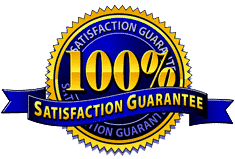 It is this attention to detail, budget, and customer service that has made us a premier roofing contractor throughout Long Island. 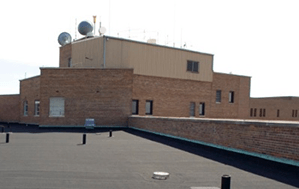 Like SBS products, APP (atactic polypropylene) Modified Bitumen Roofing Systems provide high tensile strength while maintaining critical flexibility. With APP, hot mopping is no longer necessary, because the bottom coating may be heated to a point where it acts as its own adhesive, bonding the sheet to a substrate and bonding the overlapping edges. While all APP membranes are designed to be heat-welded, some may also be applied in cold adhesive. APP membranes are available in a variety of thicknesses in smooth and granule surfaces and are reinforced with a tough, non-woven polyester mat. Conventional bituminous built-up roofing (BUR) membranes have been used effectively for more than 100 years and are still popular today. 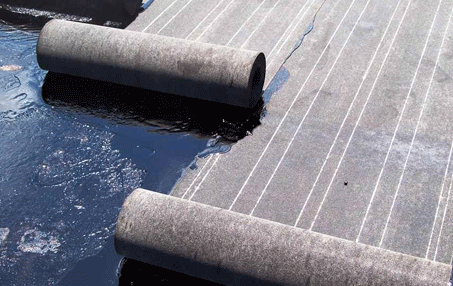 With BUR roofing systems, the waterproof membrane is field fabricated with layers of bitumen alternating with plies of reinforcing felts. 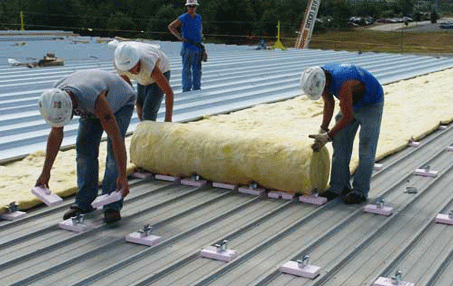 BUR roofing systems have been known to perform long after their warranty has expired. They are particularly suitable when a lot of traffic is anticipated on the roof and stand up extremely well because of the number of layers in the system. 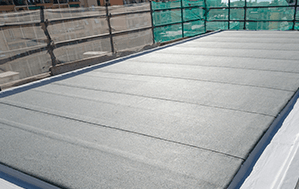 The class of commercial roofing membranes commonly described as single-ply are flexible sheets of compounded synthetic materials that are manufactured in a factory to strict quality control requirements. Durability, design versatility and installation ease are among the many reasons ethylene propylene diene monomer (EPDM) is the most popular material for both new and reroof low-slope roofing applications. 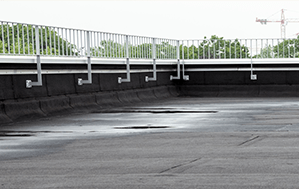 EPDM Roofing Systems are based on a high-performance synthetic rubber compound that provides outstanding weathering characteristics in climates worldwide. 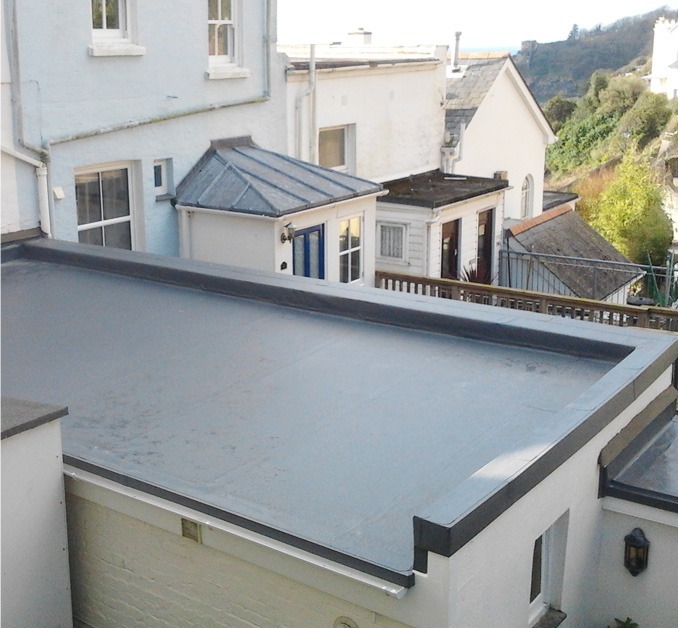 Duro-Last is a custom-prefabricated, reinforced, thermoplastic membrane roofing system that is ideal for any flat or low-sloped application. 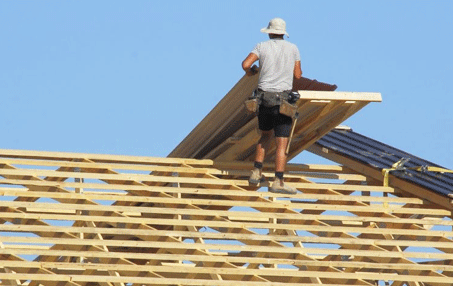 Every Duro-Last roof is measured and manufactured to exact size, accommodating every rooftop penetration. Prefabricating the roof in a controlled factory environment eliminates up to 85% of seaming that is done on-site during rooftop installation, and improves the long-term performance of the roofing system.